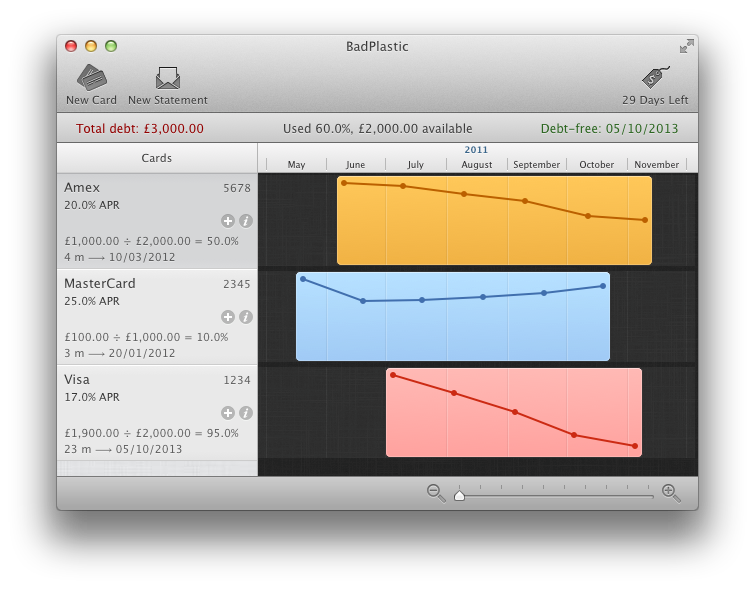 Summary bar shows total debt, used and available credit, and estimates overall debt-free date. Copyright © 2012–2013 PixelEspresso. All rights reserved.